Family Fun --- This is why my family writes this website . 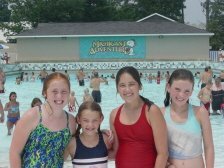 . . to show other families everything there is to do regarding family fun around South Haven, Saugatuck, Holland and Grand Haven for fun. But on this page we want to specifically talk about the type of fun the whole family enjoys. You know amusement parks, water parks, all in one fun spots complete with go-karts, miniature golf, bumper cars/boats, game rooms. . . you get the picture. Let’s not forget the parks on Lake Michigan, the ice cream shops you have to go to, the festivals complete with parades, let’s just say if your family thinks its fun it is available at one of our Lake Michigan Beach Towns. Oh yeah and how about a dude ranch complete with horseback riding and an enormous indoor water park! All of the above are right next to or a short drive away from your favorite South Haven, Saugatuck, Holland and Grand Haven rental. As we get around to all of the great, don’t miss spots, we will be sure to take pictures and let you know our tips for enjoying each activity. 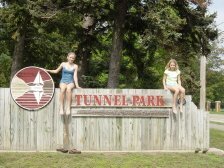 Click on the links below to follow our family on a quest for Lake Michigan Family Fun.